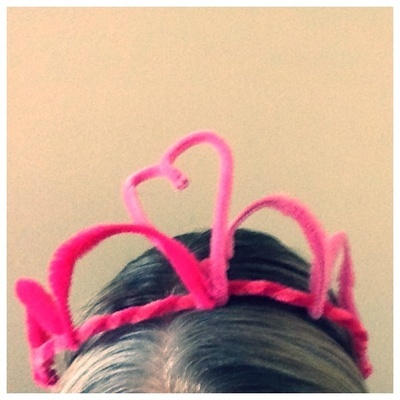 This is a fun activity for Valentine's Day particularly if you've got a little princess or prince who'd like a little tiara or crown for the day. Once you have the basic design you can make it as decorative as you want. Adults will need to help with some of the winding on, particularly to ensure that any metal bits from the pipe cleaners are smoothed down. 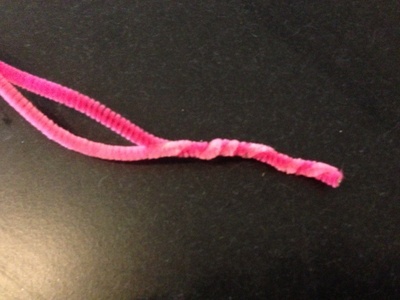 Pipe cleaners. Approximately 5 -6 of them. Pink is ideal for Valentine's Day. 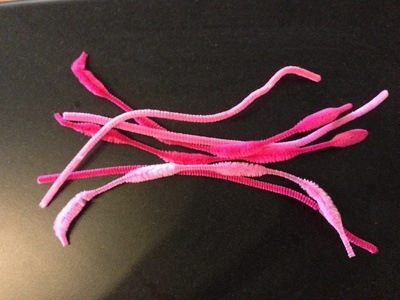 Take 2 long pipe cleaners and wind them around each other together. 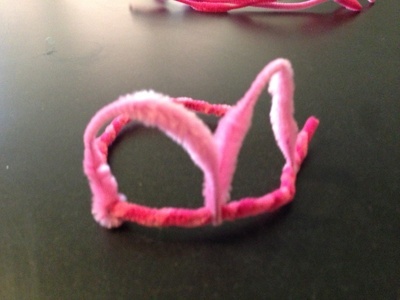 Once you have your wound pipe cleaners, mould into a semi circle. You can use your childs head as a guide if you like. This is your base. 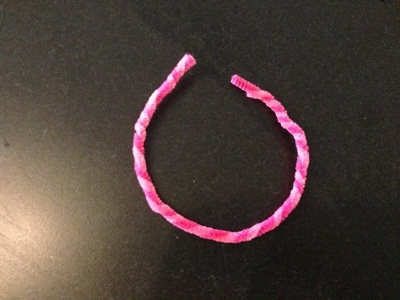 Starting from the middle point of the base, take a pipe cleaner and wrap it once around the middle of the base to secure and then create a small loop. Wrap once again around the base, then create another loop. Finish by wrapping around the base again once. Repeat for the other side, until you have four loops around the base. 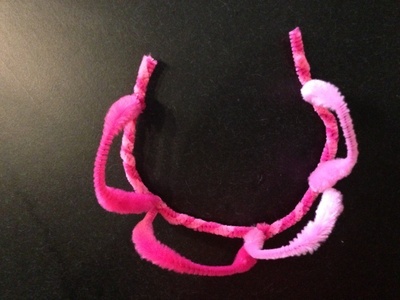 An adult will need to check that the wrapping has not exposed any sharp bits from the pipe cleaner. 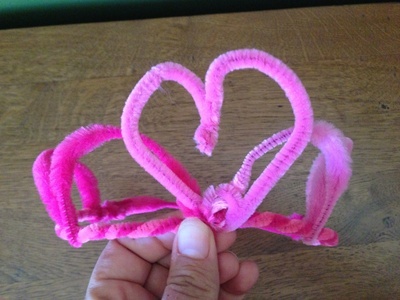 For an added Valentine's finish, take one pipe cleaner and fold in two. 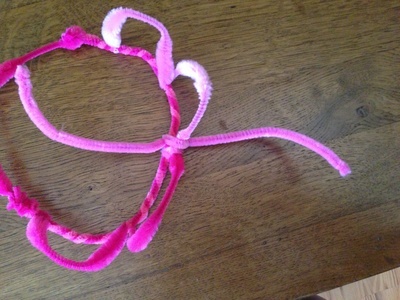 Wrap the middle of the pipe cleaner around the middle of the base and then create a heart by bringing the two ends together. 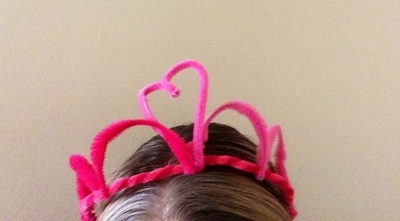 An added step if you want a crown is to take one further pipe cleaner and add to the back of the base so that base becomes a full circle. You can size this according to your child's head. If you have glitter paint and your child wants to further bedazzle their creation, now would be the time to add the extra finishing touches.